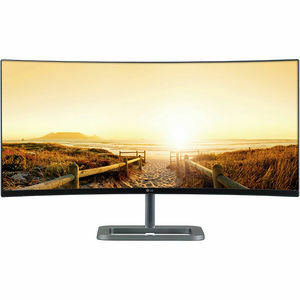 LG's single 21:9 Curved Display is 2.4 times wider than a standard 16:9 configuration. Boasting of 3440x1440 QHD resolution, this display offers a wide work space to view multiple files at once without the bezel distortion caused by a normal dual monitor set-up. Efficiently run several programs and have multiple active windows on the screen at the same time. With a standard 16:9 Full HD display, it is painfully tiresome to adjust each active window continually while you are working on them. With the 4-Screen Split feature, multiple active programs can be divided up effortlessly on a single screen, which automatically re-size to fit available spaces with a simple click or drag. Working with real-time data, research, and writing analysis reports are made easier and more efficient.